Comments: A hardy native fern that grows well over a large section of the USA, particulary the eastern part. Evergreen at Christmas its fronds are used in decorations at the holiday season. 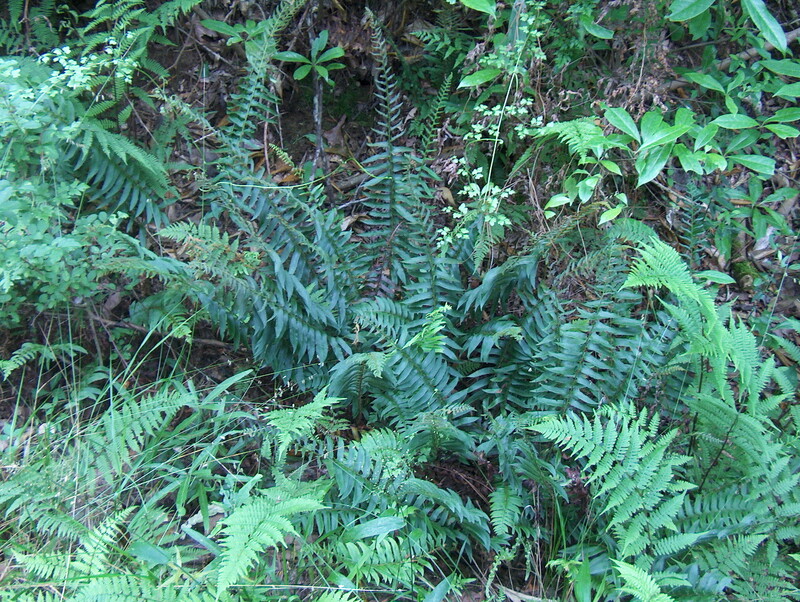 This fern does not spread by its rhizomatous growth, but the clump does increase in size.